The Master of Science in Investment Banking & Capital Markets is developed to equip participants with the technical skills required to deepen their expertise in capital markets. The program is offered on a full-time basis and consists of 2 consecutive semesters of courses (September – May) followed by a professional experience (from June onwards). The curriculum is developed around core courses and features a series of electives within the field of banking and capital markets. Our MSc in Investment Banking and Capital Markets partners with the London-based Chartered Institute for Securities and Investment (CISI). Under this education partnership, our courses embed the contents of CISI’s International Introduction to Securities and Investment and our students are given the opportunity to take the corresponding Level 3 qualification. IÉSEG is part of the select group of Bloomberg Experiential Learning Partners, which stands as a global recognition of the excellence that our faculty has developed in incorporating the Bloomberg terminal in lectures. 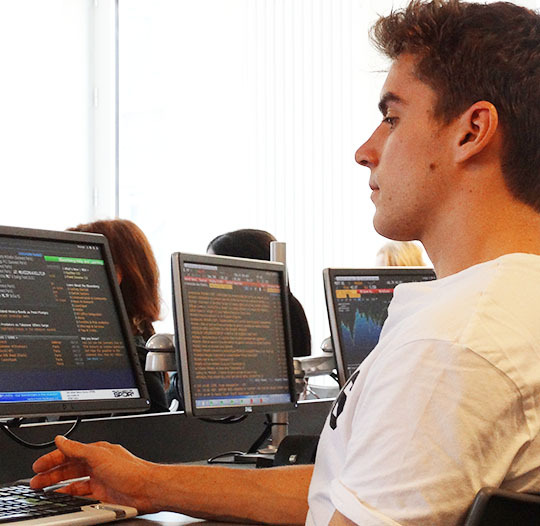 The Bloomberg Market Concepts (BMC) exam is a central piece of our MSc in Investment Banking and CapitalMarkets. Each student of the program receives an individual remote access to Thomson Reuters Eikon for use in academic activities throughout the 2 semesters of courses and takes the Thomson Reuters Eikon certification. In a context where banks as we know them are undergoing profound changes, our Digital Banking and FinTech course educates our students about the challenges and opportunities for creating value.In 2017-2018, students had the opportunity to work on Credit Agricole Corporate and Investment Bank (CIB) case studies focusing on blockchain technology. The winning team of students developed a cryptocurrency trading platform and had the opportunity to pitch at the Innovation Lab of Credit Agricole Nord de France in front of 25 digital and innovation experts from the bank. 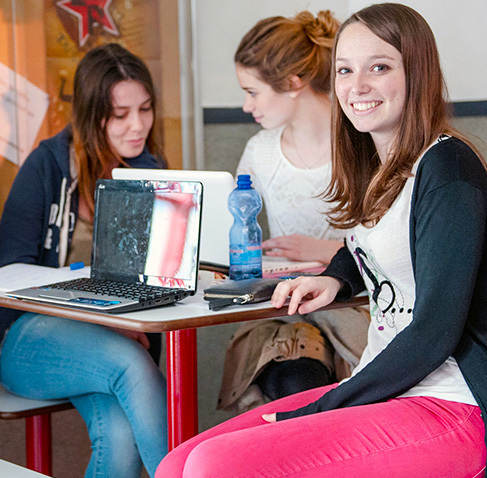 Our 2 Financial Markets Labs, located on the Lille campus, provide students with a unique experience. Through a series of dedicated lectures you will discover market practices live using the Bloomberg Professional and the Thomson Reuters EIKON terminals. The lab plays a key role in the pedagogy of our program and they integrate the most recent teaching innovations to enhance your learning experience. During the Master of Science in Investment Banking and Capital Markets, students complete the Bloomberg Market Concepts (BMC) e-course, tale the Thomson Reuters EIKON certification program and reach the level of expertise in financial data services required by the industry.